WHAT IS AN AIRCRAFT APPRAISAL REPORT ? 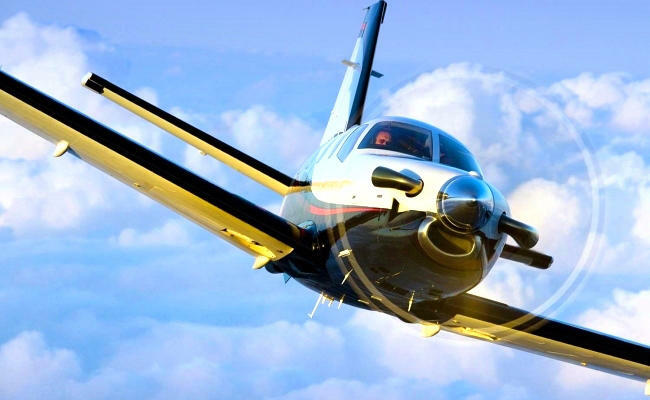 An AERONUVO Aircraft Appraiser Provides An Unbiased And Professional Opinion Of Aircraft Value It's been said that "An aircraft is worth what someone will pay for it." Therefore, when setting a selling price for something as valuable as an aircraft more factual advice than that given by a well-meaning friend is both a necessity and just common sense. Of course, this is just as important on the corporate level. Costly mistakes can be avoided through the use of a professional aircraft appraiser. AERONUVO can deliver a professional opinion and appraisal report of the present market value price on an aircraft, the value on an aircraft to be renovated or modified and the value of an aircraft as a prudent safeguard against excessive tax assessments, capital gains and other taxes. 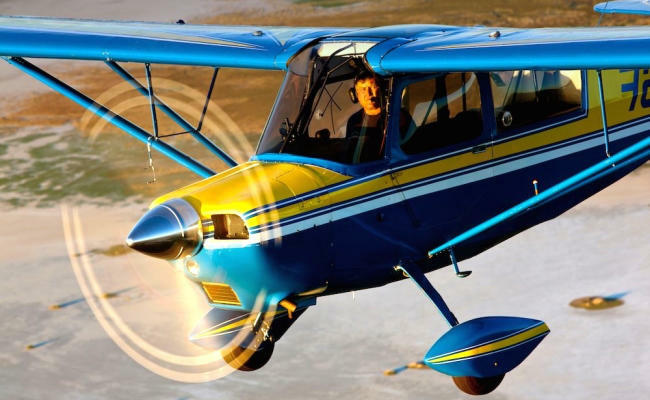 Our aircraft appraisal services include Aeronca, Aero Commander, American Champion (ACA), American General, Aviat Husky and Pitts, Beechcraft (Beech), Bellanca, Citabria, Cessna, Cirrus, CubCrafters (Cub Crafters), DAHER SOCATA, Diamond, Ercoupe, Glasair, Great Lakes, Grumman American, Lancair, Luscombe, Maule, Mooney, Piper, Rockwell Commander, Stinson and More. Improper evaluations of aircraft by persons who are not qualified to make them, or by those who have their own agenda in pricing the subject aircraft, lead to trouble for unsuspecting buyers. High values are far more common than low values. No matter whether you are a buyer, seller, banker, or insurance company executive, you have a major stake in ensuring that the amount paid for the aircraft is reasonable. And how do you know what is reasonable unless an independent, objective, third party examines the aircraft and its records to verify that it is what is expected? The appraisal is an impartial, professional opinion as to the value of the particular aircraft being purchased. But it is much more than that. It is a thorough description and inventory of the aircraft that verifies the major selling points for the buyer and financing entity. Further, the appraisal can assist in expediting the sale of the aircraft because the buyer and seller know the fair market value and relative condition of the aircraft through the independent appraisal. Information is knowledge, and that is what you get in a certified aircraft appraisal from a member of the National Aircraft Appraisers Association. The aircraft appraisal offers the confidence of knowing the general condition and current fair market value of the aircraft being sold as seen through the eyes of an independent third party. The NAAA Certified Appraisal is a great selling tool because it gives a potential buyer a solid "feel" for the aircraft in the words of the objective evaluator. After reading the NAAA appraiser's report the potential buyer will have more confidence in the condition and appearance of that airplane than he would another airplane where all that is available is the owner's description. The NAAA Certified Appraisal documents the value and general condition of the aircraft. The appraisal also supports the bank's collateral position in the aircraft loan by verifying that the aircraft is what it is said to be. Any Banker who does self-evaluations without any manner of verifying the collateral exists, or that the aircraft is equipped as represented, is putting his bank at risk for a major loss should the client default. There is absolutely no reason to accept a risk of that magnitude when there are NAAA appraisers throughout the United States and Canada who can detail the value and general condition of the aircraft for you. Aircraft change in value on a regular basis. There are numerous factors involved in determining an aircraft’s value at any time including: airframe and engine times, equipment, and the resale market. This is why at each year before the policy renews the aviation insurance agent shold ask to confirm the desired hull value for the policy’s renewal. The key in this process is to understand how to value the aircraft and what would happen in the event the aircraft had a partial or total loss. Has the value of the aircraft risen or fallen? Since aircraft are written on an “Agreed Amount” basis it is important to perform proper due diligence when determining the insured value for the aircraft. One process utilized to determine an aircraft’s value is to use an aircraft blue book or other valuation service. A blue book provides a middle-of-the road measure of an aircraft’s value based on the aircraft year of manufacture, and make and model with mid-time components and average equipment. Using the average the base value you then take into account the above or below average airframe, engine, and component hours, as well as other upgrades to reach a solid determination of the aircraft’s value. 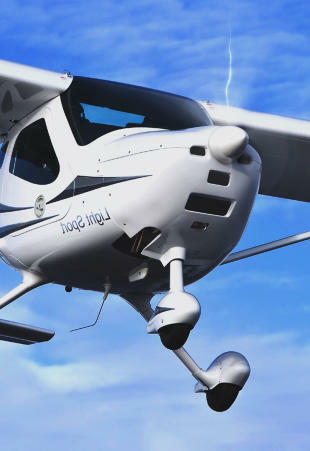 Most insurance carriers will not insure an aircraft that is 25% above or below an aircraft’s average blue book value without substantiation or an appraisal. An NAAA Certified Aircraft Appraisal is an impartial opinion of the value of an aircraft, prepared by experts who know all the factors which make up the current behavior of the used aircraft market. It is an opinion of value based upon experience and repeated analysis of these factors. It is an opinion of value which can be substantiated and justified. It is an opinion of value made by a certified, recognized, professional aircraft appraiser. A professional aircraft appraiser must acquire all the facts about the aircraft in question. The appraiser thoroughly examines the aircraft log books, inspects the exterior and interior surfaces of the aircraft, and pays close attention to the general condition as well as the maintenance history of the aircraft. Utilizing the National Aircraft Appraisers Association's extensive computer based system enables the appraiser to give accurate and prompt aircraft appraisals. An aircraft appraisal written by AERONUVO provides an expert opinion of the value of an aircraft as a data-point when evaluating tax assessments, capital gains, and other taxes. The appraisal can also provide the Fair Market Value (FMV) for an aircraft that is part of an estate. The AERONUVO appraisal is an impartial, professional opinion as to the value of the particular aircraft being donated to charity. The fair market value of your aircraft cannot be determined by a charity; the Internal Revenue Service (IRS) and state and country tax departments considers that to be a "conflict of interest". A charity's tax receipt is, however, proof that you made the donation. 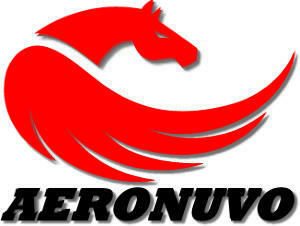 The aircraft's fair market value has to be determined by an independent certified appraiser such as AERONUVO. • A detailed examination of airframe, engines, props, instrumentation, avionics and all relative systems. • A careful review of aircraft documentation, log books, and associated records. • A computer analysis of relevant value data. • A sealed Certificate of Appraisal and the detailed computerized report submitted to the client. • To obtain a professional opinion of the present fair market value on an aircraft. • To obtain a professional opinion of the value on an aircraft to be renovated or modified. • To obtain a professional opinion of the value of an aircraft as a prudent safeguard against excessive tax assessments, capital gains and other taxes. • To verify damage claims resulting from fire, hail, windstorms, accidents and other disasters. • To provide the basis for decision-making in the commitment of funds for aircraft acquisition. • To provide persuasive, independent evidence of the condition of an aircraft. • To assist a prospective purchaser in obtaining financing or insurance. • To assist a financial institution in substantiating the nature and value of the aircraft as it relates to collateral. • To assist a financial institution by supporting the loan portfolio for examination by the loan committee and/or bank examiner. • To distinguishes sellers aircraft from others that may be listed for sale. An NAAA Certified Aircraft Appraisal should reduce the time required to sell an aircraft by 50%. Fees will vary depending on the type of aircraft, its year, make and model, and the length of time involved in completing analyses of all relevant data. The client must allow sufficient time for the appraiser to do a thorough job. The appraiser may spend a short time actually inspecting the aircraft, but will spend considerable time researching data. The Certificate of Appraisal and Inspection Data Sheet Analysis of the appraisal is issued after the physical inspection of the aircraft has been completed. The National Aircraft Appraisers Association (NAAA) has established rigid standards of professional practice and conduct to which every Association Member must adhere. It is essential to all parties receiving and relying upon appraisals that these standards be meticulously maintained. AERONUVO, The Aircraft Appraisal and Valuation Company and the National Aircraft Appraisers Association (NAAA) provides a broad range of service to the aviation industry through its professional approach to aircraft valuations thereby setting the standard for aircraft appraisal. Bankers, insurers, purchasers, sellers, and owners immediately recognize the value of an independent aircraft appraisal. An AERONUVO Aircraft Appraiser Provides An Unbiased And Professional Opinion Of Aircraft Value. It's been said that "An aircraft is worth what someone will pay for it." Therefore, when setting a selling price for something as valuable as an aircraft more factual advice than that given by a well- meaning friend is both a necessity and just common sense. Of course, this is just as important on the corporate level. Costly mistakes can be avoided through the use of a professional aircraft appraiser. AERONUVO can deliver a professional opinion and appraisal report of the present market value price on an aircraft, the value on an aircraft to be renovated or modified and the value of an aircraft as a prudent safeguard against excessive tax assessments, capital gains and other taxes. 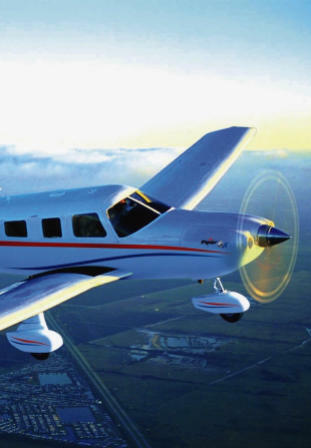 Our aircraft appraisal services include Aeronca, Aero Commander, American Champion (ACA), American General, Aviat Husky and Pitts, Beechcraft (Beech), Bellanca, Citabria, Cessna, Cirrus, CubCrafters (Cub Crafters), DAHER SOCATA, Diamond, Ercoupe, Glasair, Great Lakes, Grumman American, Lancair, Luscombe, Maule, Mooney, Piper, Rockwell Commander, Stinson and More .... Improper evaluations of aircraft by persons who are not qualified to make them, or by those who have their own agenda in pricing the subject aircraft, lead to trouble for unsuspecting buyers. High values are far more common than low values. No matter whether you are a buyer, seller, banker, or insurance company executive, you have a major stake in ensuring that the amount paid for the aircraft is reasonable. And how do you know what is reasonable unless an independent, objective, third party examines the aircraft and its records to verify that it is what is expected? •A detailed examination of airframe, engines, props, instrumentation, avionics and all relative systems. •A careful review of aircraft documentation, log books, and associated records. •A computer analysis of relevant value data. •A sealed Certificate of Appraisal and the detailed computerized report submitted to the client. •To obtain a professional opinion of the present fair market value on an aircraft. • To obtain a professional opinion of the value on an aircraft to be renovated or modified. •To obtain a professional opinion of the value of an aircraft as a prudent safeguard against excessive tax assessments, capital gains and other taxes. •To verify damage claims resulting from fire, hail, windstorms, accidents and other disasters. 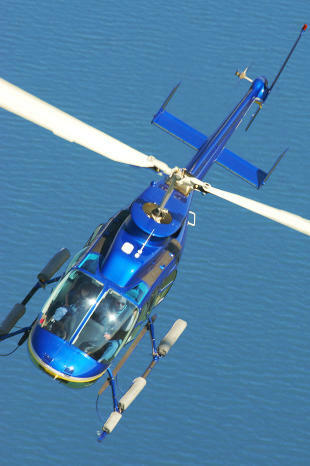 •To provide the basis for decision-making in the commitment of funds for aircraft acquisition. •To provide persuasive, independent evidence of the condition of an aircraft. •To assist a prospective purchaser in obtaining financing or insurance. •To assist a financial institution in substantiating the nature and value of the aircraft as it relates to collateral. •To assist a financial institution by supporting the loan portfolio for examination by the loan committee and/or bank examiner. •To distinguishes sellers aircraft from others that may be listed for sale. An NAAA Certified Aircraft Appraisal should reduce the time required to sell an aircraft by 50%.